he Belgaum City Corporation (BCC) commissioner has been directed, to shift BCC head office to the new building (Near SP office) and to hoist only national flag atop the new building by March 16, 2009. CM, Yedurappa during the session period, inaugurated the BCC office. Even after the opening, still no work was being done from there. For the people of Belgaum shifting is just another reason for their pending work not to be done. Now if you approach the corporation fro some work you will get an answer stating shifting is going on so once that is finished lets see. When shifting will be over, the files have not yet come or need to search and one more thing election time so our boss is on election duty so nothing can be done now. Such answers will be heard in the days to come. 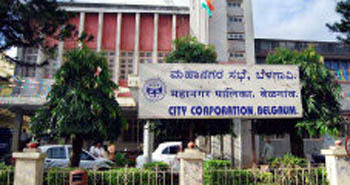 What will Belgaum gain by shifting the BCC to the new premises is to be seen.